Goa Police has issued an advisory regarding phone calls posing as bank officers. People are receiving fictitious calls of persons, who pose themselves as bank officers and tell that your card is blocked. Then they ask for your bank details to reactive the card. 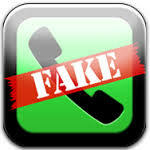 Such fictitious calls also offer money and some people become victims of such offers, states the police advisory. The police have thus asked the people to immediately register a complaint with the local cyber crime cell if such calls are received. In the past, the police states, people have also fallen prey to fictitious offers such as lottery winnings, remittance of cheap funds in foreign currency from abroad by so-called foreign entities, individuals or to Indian residents acting as representatives of such entities and individuals. Such offers are fraudulent, thus people should immediately file a complaint rather than becoming a victim of such frauds, states the police advisory.